Leone and I have lots of news to share this month. 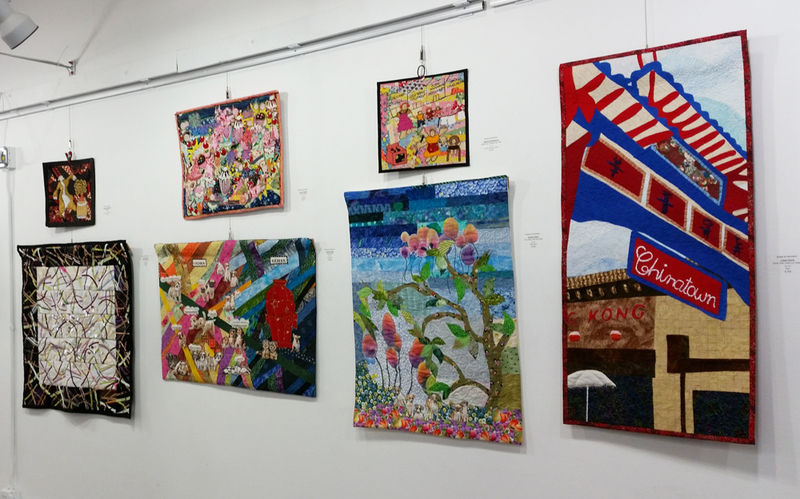 Our recent exhibition in the new San Fernando Valley Arts and Cultural Center was a success. 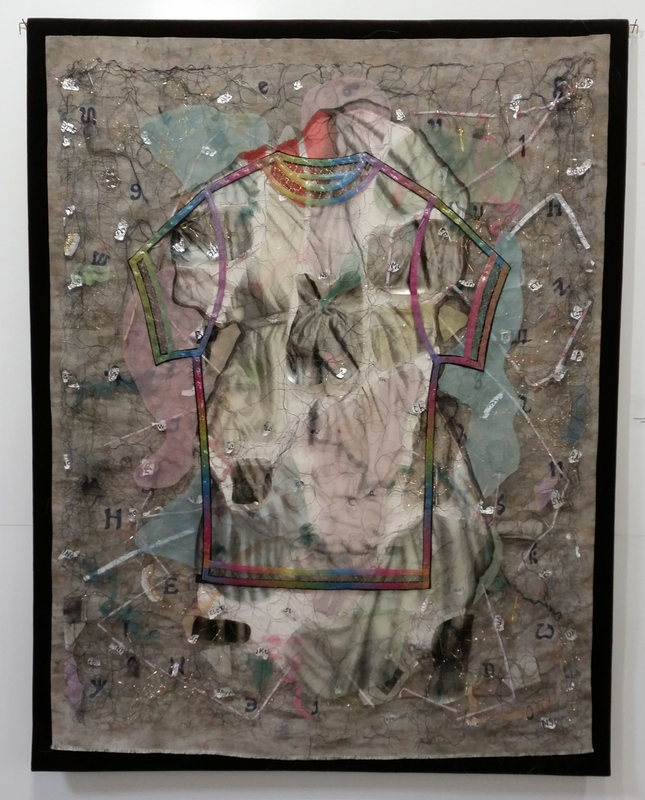 This gallery has been open for merely a year and I have to admit that â€œUncommon Threadsâ€ was its most successful exhibit to date. 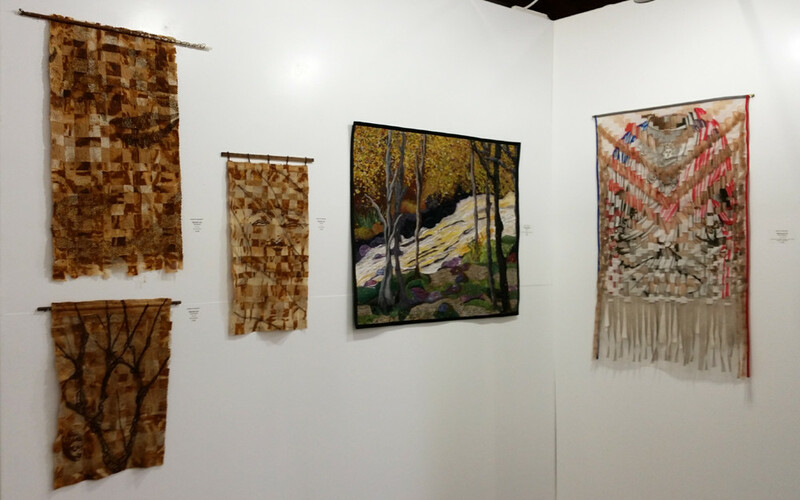 We had four fiber groups participate, and the gallery made more than $3,000 in sales. 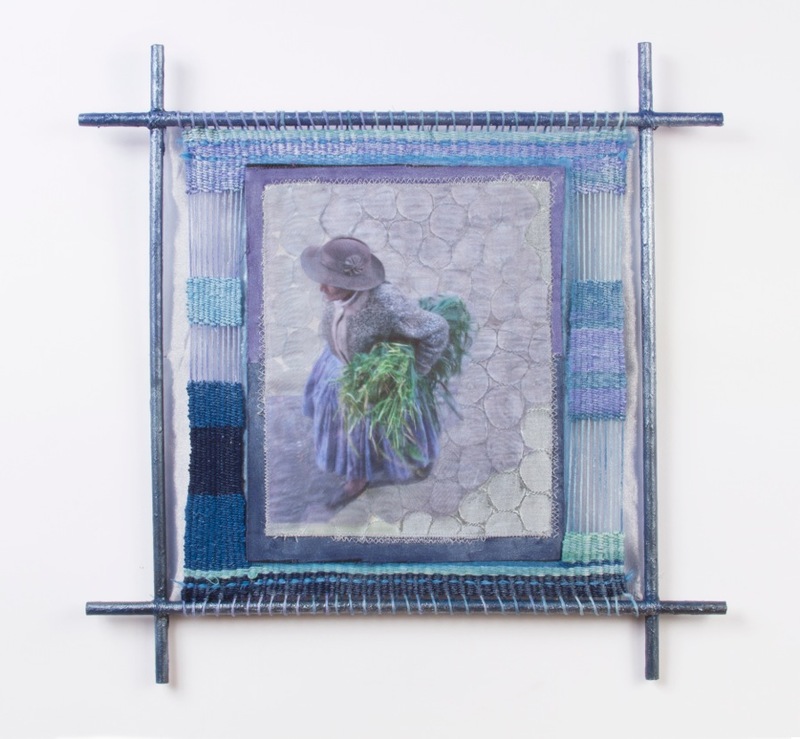 We had more walk in viewers than anticipated and each and every one seemed in awe of the diversity of fiber artists. We plan to participate in this event again next year, so get busy. We all thank Mary Beth Schwartzenberger for giving us a fabulous Mono-print Workshop and Slide lecture. I now have a new love, mono-print and rushed out and got a jar of wheat paste and a baron from my local independent art store, Continental in Reseda. We had a record number of attendees at Mary Bethâ€™s workshop. 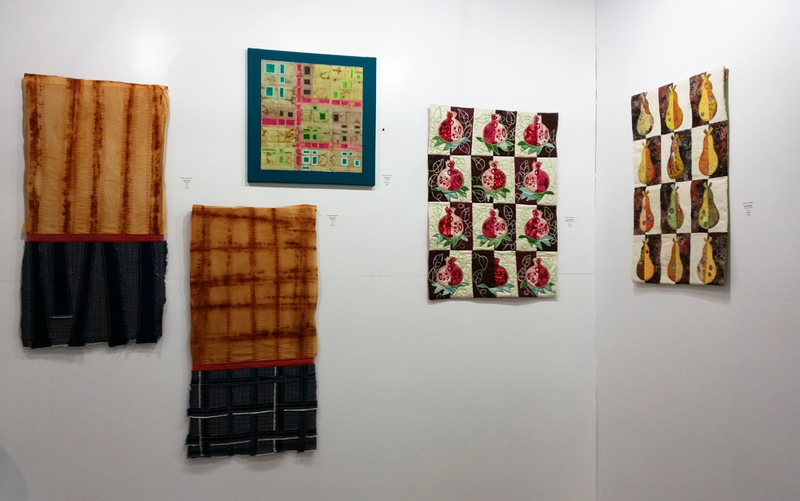 Smadar Knobler, Dassi Pintar and Linda Stone have been busy scouting out other venues for displaying our work. We are in the process of negotiating another show in the new Branch Gallery, which is a â€œbranchâ€ project of the Knitting Tree store. Our challenge â€œBranching Outâ€ caught the eye of the Gallery Manager Aneesa Shami and she is suggesting that we might have a show to celebrate the opening of the new location of The Kitting Tree with its adjacent gallery. 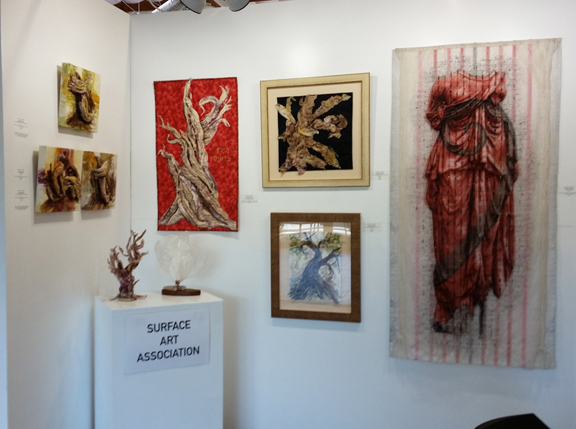 The Knitting Tree is a local sanctuary for fiber arts enthusiasts of all skill levels. 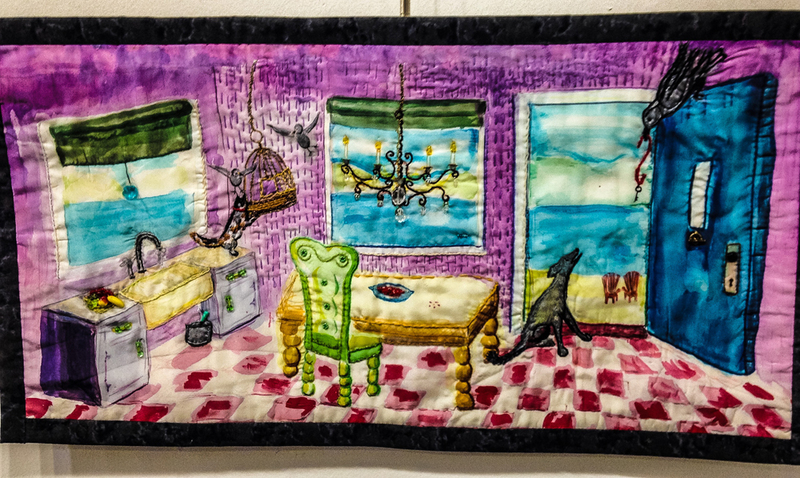 They offer an extensive selection of high-quality yarns and supplies for knitting, crochet, spinning, weaving, and needle felting, as well as hands-on instruction by skilled artisans of diverse backgrounds. 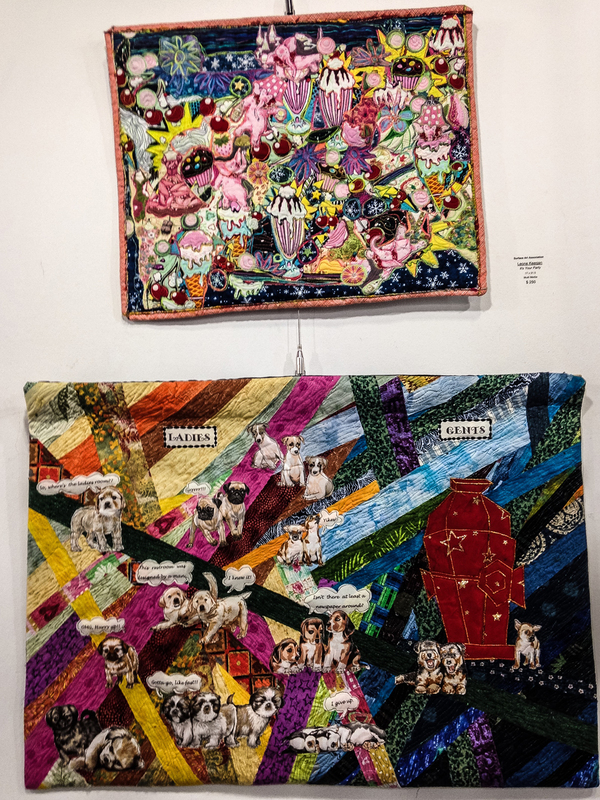 Their passion is contagious, inspiring beginners to embrace new skills, while challenging more advanced fiber artists to expand their creative horizons and to raise awareness of the breadth of fiber arts in Los Angeles. As a tradition we have a holiday party and art exchange around the end of each year. 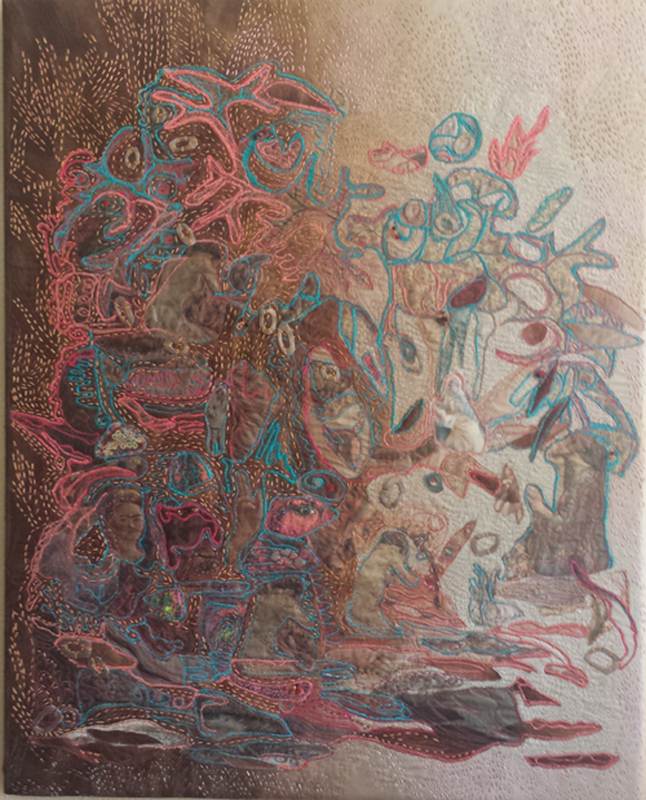 It is a long standing collegial practice among artists to gift each other their work as a token of mutual respect and affection. It is a fun event and your participation would be appreciated. So if you want to participate in the annual gift exchange at the holiday party, please bring a piece of your own artwork. We will keep you posted for updates. Meredith Strauss has volunteered to host our annual get together. It is with sad news that Diane Ricks will be moving out of state. Diane is a core member of SAA. Diane embodies everything that SAA is all about. She is an acclaimed artist, in all facets. She is giving and she shares her knowledge with grace and has provided fabulous workshops for us. Also she is a crackerjack secretary and keeps us on track, which is almost like herding cats. The good news is that she is going to live with her daughter and beautiful grandchildren in Nevada and have a fabulous well equipped studio. Just google Dianeâ€™s name and you will scratch the surface of what she has accomplished. Meeting was called to order by President Celeste Covas at 11:20 AM. There were 10 Board members present. Discussion: The exhibit at SFVACC was a success considering the short lead time. The Board felt it was something to consider again. Exhibition Committee will take it under consideration. 13 SAA members participated in the show. Cost to participate may need to be raised to cover costs. Suggestions: They need better check in and check out procedure. A hanging committee supervised by the gallery is needed. Programs and Workshops: June 11 is Cameron Taylor Brown talking on and doing a workshop on â€œPhoto Transferâ€. Discussion: Barbara will check on getting a date for an Indigo Workshop at the â€œFrench Generalâ€ Cost will be $125 per person. We need more of our talented members to teach workshops to help keep down costs. A change in the workshop schedule to a 1 1/2 days was discussed. Exhibitions: Smadar is looking into several possible venues for a show for â€œBranching Outâ€ to be displayed. The Holiday Party on December 10, 2016 will be at Meredithâ€™s home again. There was discussion on the gift exchange and a motion was passed that we set up an Optional Donation box to receive money for the SDA Scholarship Fund as a way of giving back. There will continue to be a gift exchange for those who wish to participate. The meeting was closed at 1:00 PM. Lecture: Experience Cameronâ€™s journeys to Bhutan, The Peruvian Highlands and Gujarat, India. 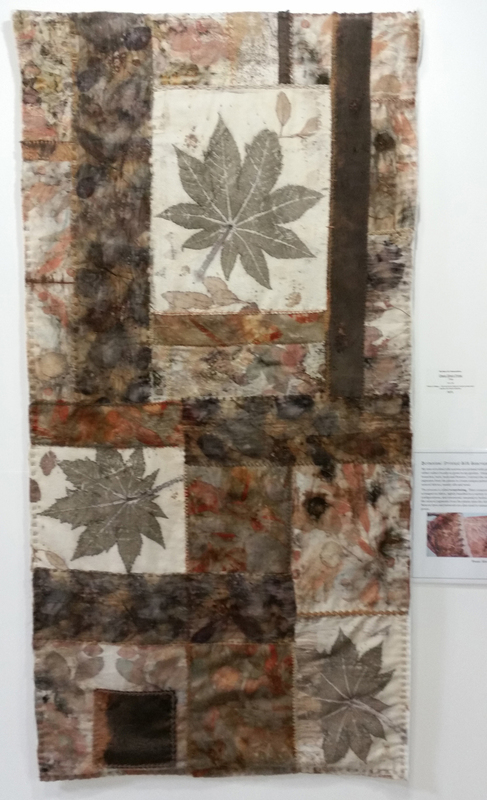 View images of landscapes, people and their traditional textiles - plus see some workshops where these textiles were made. Examine examples of traditional textiles from each country and view and discuss three series of artwork inspired by these journeys: Red Offerings (Bhutan), Colors of Gujarat (India) and Majestic Stone (Peru). 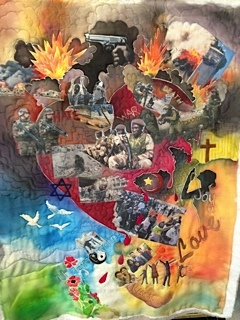 Workshop: Create a mixed media photo collage on cloth with translucent layering, stitching and yarns - starting with one of Cameronâ€™s images or an image from your own journey. Your journey could be as far away as China or as close as your own backyard! Equipment and supplies each student brings: large and regular eye sewing needles, sewing thread in a variety of colors, good scissors, a variety of fabric scraps if they have some, camera for visual note-taking, notebook and pencil. If students wish to use their own image, they must email me one high resolution jpeg photograph by June 7th so I can print them onto cloth and bring them with me. We need to know if thereâ€™s enough interest to book this workshop. We need to fill 18 spots so, we can keep this as a private event. The cost is $125 per person. If you're interested, please email Barbara Weitekamp at wbweitekamp@gmail.com. Indigo pigment and bucket to build their own vat Fibre kit which includes silk, cotton and linen (scarves, napkins, etc. we can talk about what you would like to dye). Shibori materials - including: thread, needles, woodsies, clamps and corks for Kumo, Itajime and Nui techniques. Sashiko materials - including: thread, needle, thimble and design templates. French General offers a pretty full workshop - starting from the beginning by building the vats and then do an explanation and demonstration of different types of Shibori techniques. We prepare our fabrics, take a break for lunch and then dip for about 2-3 hours. We finish the workshop by learning about how to transfer a sashiko pattern and how to stitch on an indigo patch. French General provide aprons and gloves. People bring their own lunch or can pop out and pick it up down the road. They always have coffee, tea and cold drinks available throughout the day. Copyright Â© 2016 Surface Art Association, All rights reserved.